Zimbabwe might be celebrating the end of Robert Mugabe’s 37-year rule, but some Zimbabweans in Halifax only see it as a small victory. They say they’re happy to see Mugabe leave, but are still afraid to speak out against the current government. Many don’t know if they’ll be able to live and work in Zimbabwe after they graduate. “Every Zimbabwean is celebrating, it doesn’t matter who you are,” said Itai Kuwodza, a forensic anthropology student at Saint Mary’s University who is one of many questioning the move home. Mugabe was president of Zimbabwe for 37 years. He led the Zanu-PF party and brought Zimbabwe to independence in 1980, but he’s also alleged to have orchestrated mass murder after the country gained independence. He was replaced by former vice-president Emmerson Mnangagwa on Friday. Mnangagwa is a longtime member of the ruling Zanu-PF party who has been accused of orchestrating an attack against opposition supporters in 2008. On Nov. 14 the military took over government, and tried to impeach the president to prevent his wife from establishing herself as his successor. Then he suddenly resigned by letter and was granted immunity shortly after. During Mugabe’s reign, the country’s literacy rate rose to the range of 90 per cent, but today the unemployment rate may be just as high. Statistics about unemployment are “unknowable,” according to the CIA website. However, in 2009, the unemployment rate was estimated at 95 per cent. 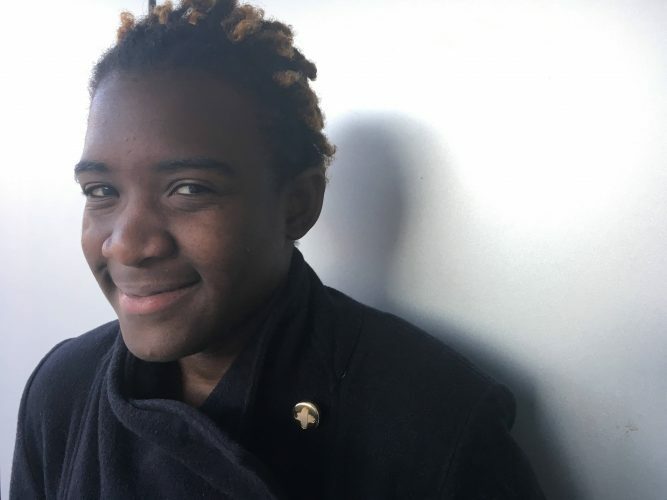 “I can tell you now that my biggest wish when I graduate is to go home and be with my family, to get a job and live in Zimbabwe — and it’s still not a possibility right now,” said Kuwodza. Kuwodza’s mother and sister want her to stay in Canada. Her sister also studied abroad, but after she graduated with a master’s degree she moved back home, where she’s been unemployed for 10 years. Mapfumo Chidzonga, who graduated with a master’s degree from Dalhousie University, says his country went from being “the breadbasket of Africa” to being called a “basket case.” With Mugabe gone, he’s not sure the country will shake that reputation easily. He now works in Halifax as the community engagement adviser for the Halifax Regional Municipality planning and development department. He’s excited to visit his family and see the change for himself, but they’re divided on what comes next. “Many of us still feel like there hasn’t been a change because it’s the same people, the same political party in power,” said Chidzonga. Mugabe’s resignation makes way for an opposition party in the next election, but Black noted there’s a catch. “Even if they did have free and fair elections, it’s not clear at this point that the opposition could mobilize for it,” said Black. The next election is expected to happen in 2018.